MOUNTAIN VIEW, Calif.---November 27,2007 Google (NASDAQ:GOOG )- today announced a new strategic initiative to develop electricity from renewable energy sources that will be cheaper than electricity produced from coal. The newly created initiative, known as Renewable Energy Cheaper Than Coal, will focus initially on advanced solar thermal power, wind power technologies, enhanced geothermal systems and other potential breakthrough technologies. Renewable Energy Cheaper Than Coal is hiring engineers and energy experts to lead its research and development work, which will begin with a significant effort on solar thermal technology, and will also investigate enhanced geothermal systems and other areas. In 2008, Google expects to spend tens of millions on research and development and related investments in renewable energy. As part of its capital planning process, the company also anticipates investing hundreds of millions of dollars in breakthrough renewable energy projects which generate positive returns. "We have gained expertise in designing and building large-scale, energy-intensive facilities by building efficient data centers," said Larry Page, Google Co-founder and President of Products. "We want to apply the same creativity and innovation to the challenge of generating renewable electricity at globally significant scale, and produce it cheaper than from coal." Page added, "There has been tremendous work already on renewable energy. Technologies have been developed that can mature into industries capable of providing electricity cheaper than coal. Solar thermal technology, for example, provides a very plausible path to providing renewable energy cheaper than coal. We are also very interested in further developing other technologies that have potential to be cost-competitive and green. We are aware of several promising technologies, and believe there are many more out there." "If we meet this goal," said Page, "and large-scale renewable deployments are cheaper than coal, the world will have the option to meet a substantial portion of electricity needs from renewable sources and significantly reduce carbon emissions. We expect this would be a good business for us as well." Coal is the primary power source for many around the world, supplying 40% of the world's electricity. The greenhouse gases it produces are one of our greatest environmental challenges. Making electricity produced from renewable energy cheaper than coal would be a key part of reducing global greenhouse-gas emissions. "Cheap renewable energy is not only critical for the environment but also vital for economic development in many places where there is limited affordable energy of any kind," added Sergey Brin, Google Co-founder and President of Technology. "Lots of groups are doing great work trying to produce inexpensive renewable energy. We want to add something that moves these efforts toward even cheaper technologies a bit more quickly. Usual investment criteria may not deliver the super low-cost, clean, renewable energy soon enough to avoid the worst effects of climate change," said Dr. Larry Brilliant, Executive Director of Google.org, Google's philanthropic arm. "Google.org's hope is that by funding research on promising technologies, investing in promising new companies, and doing a lot of R&D ourselves, we may help spark a green electricity revolution that will deliver breakthrough technologies priced lower than coal." Google's renewable energy initiative call begins today at 9:00 AM (PT) / 12:00 PM (ET). A replay of the call will be available beginning at 11:30 PM (ET) today through midnight Tuesday, December 4th, 2007 by calling 888-203-1112 in the United States or 719-457-0820 for calls from outside the United States. The required confirmation code for the replay is 2205214. This press release contains forward-looking statements that involve risks and uncertainties, including statements relating to our ability to develop cheaper electricity from renewable energy sources, our expected investments and capital expenditures, and our ability to accelerate the development of clean energy technologies. Actual results may differ materially from the results predicted. The potential risks and uncertainties that could cause actual results to differ include, among others, risks related to our ability to hire the appropriate people and our ability to identify and pursue the technologies necessary to achieve these goals, as well as those risks and uncertainties included under the captions "Risk Factors" and "Management's Discussion and Analysis of Financial Condition and Results of Operations," in our Quarterly Report on Form 10-Q for the quarter ended September 30, 2007, which is on file with the SEC and is available on our investor relations website at http://investor.google.com and on the SEC website at www.sec.gov. All information provided in this release is as of November 27, 2007, and Google undertakes no duty to update this information. Google's innovative search technologies connect millions of people around the world with information every day. Founded in 1998 by Stanford Ph.D. students Larry Page and Sergey Brin, Google today is a top web property in all major global markets. Google's targeted advertising program provides businesses of all sizes with measurable results, while enhancing the overall web experience for users. Google is headquartered in Silicon Valley with offices throughout the Americas, Europe and Asia. For more information, please visit http://www.google.com. Google.org, the philanthropic arm of Google, uses the power of information to help people better their lives. We develop and invest in tools and partnerships that can help bring shared knowledge to bear on the world's most pressing challenges in the areas of climate change, economic development and global health. For more information, visit http://www.google.org. POINT ROBERTS, WA and DELTA, BC – November 23, 2007, www.RenewableEnergyStocks.com, a leading investor news and research portal for the renewable energy sector, presents market commentary on the performance of solar stocks in “Renewable and Solar Energy Perspectives”. J. Peter Lynch has worked, for 30 years as a Wall Street analyst, an independent equity analyst and private investor, and a merchant banker in small emerging technology companies. He has been actively involved in following developments in the renewable energy sector since 1977and is regarded as an expert in this area. He is currently a financial and technology consultant to a number of companies. As an old saying goes, “A rising tide raises ALL boats” unfortunately, the reverse is also true. Over the past two to three months, the increasing tide of market volatility as been increasing with dramatic speed and the vast majority of stocks, as well as, solar stocks are being swept down with the flow. Although, solar stocks were among the last to succumb they have recently begun to break down. 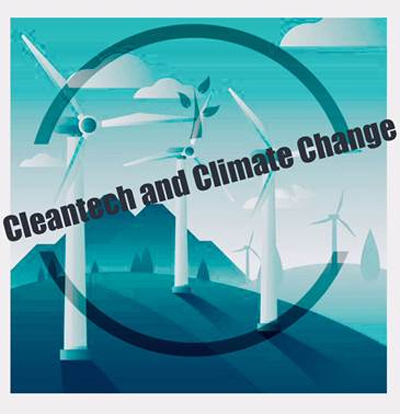 www.RenewableEnergyStocks.com®, www.FuelCellCarNews.com®, www.EnvironmentStocks.com and www.water-stocks.com are global investor and industry research portals that look at the renewable energy, water and Greentech sectors. Our sites do not make recommendations, but offer investors stock news, exclusive articles and financial columnists, audio interviews, investor conferences, Blogs, and a directory of stocks within the renewable energy, clean tech and fuel cell sectors. We provide a variety of renewable and green content through: the Driving Green Podcast, Investing in Water Podcast, Clean Energy News Blog, Renewable Energy Blog, articles by solar expert, J. Peter Lynch, and a regular ‘green’ column: ‘The New Power Fund,’ by Samuel F. Jones, President of All Season Financial Advisors, all available on RenewableEnergyStocks.com®. Additionally, InvestorIdeas.com offers a service for renewable energy and cleantech news and press release submissions at: http://investorideas.com/NewsUploader/ as well as research and article submissions. News is featured in the Investor Ideas Newswire and up to 3 industry portals selected. InvestorIdeas.com is a leading global investor and industry research resource portal specialized in sector investing covering over thirty industry sectors and global markets including China, India, the Middle East and Australia. http://www.opec.org/opecna/Speeches/2007/SGSummitSpeech.htm"Excellencies, ladies and gentlemen,I should like to thank Ms JoAnne DiSano for her excellent background paper.I fully agree with your conclusion, Ms DiSano, that there must be an integrated approach to energy for sustainable development, accommodating the three mutually-supportive pillars of economic development, social progress and environmental protection.Energy is crucial for sustainable development. Indeed, increased use of energy, in particular fossil fuels, has allowed billions of people to see their living conditions improve, prosperity grow and life-expectancy increase.But this has been mostly in developed countries. The story is very different elsewhere.As you rightly emphasize, more than two billion people have no access to modern energy services. Instead, people living in the rural areas of Africa, Asia and Latin America, must rely on firewood, dung and plant residue. The World Health Organization estimates that more than 1.5 million people die each year from inhaling biomass smoke.As was made clear in Johannesburg five years ago, poverty alleviation should remain an overriding priority.And this means ensuring continuous access by the poor to affordable modern energy services.This is a challenging target. And it is an achievable one, through: adopting balanced economic and social policies tailored to the needs of poorer nations; providing adequate financial support; developing and transferring affordable and environmentally-sound technologies; sharing knowledge and best practices; and, in general, ensuring that the eight UN Millennium Development Goals are met by the international community.It is well known that energy use will grow by almost 50 per cent by 2030, due to rising populations, growing economies and improved living conditions.To help meet this growing demand, all energy sources are welcome.The contribution of renewables will remain modest in the foreseeable future,\ because of the competition, by some of them, for water and land otherwise required for food production.In short, the world will continue to rely on fossil fuels for the foreseeable future, to satisfy the energy needs of the growing populations and give them a better life.But how can this be done in an environmentally friendly way?There is no silver bullet. However, it is clear that a key element of the response is the development, deployment and transfer of cleaner fossil fuel technologies.And how is OPEC handling such challenges?First of all, let me stress that, just like anyone else, the citizens of our Member Countries wish to live in a cleaner, safer world, and, moreover, to pass this on to our future generations. We are, therefore, acting on numerous fronts in this complex arena.We aim to reduce our environmental footprint as much as possible.Significant progress has been made with gas-flaring in recent years. Our Member Countries have ambitious programmes aimed at stopping this in the near future. Several Members are actively engaged in the Global Gas Flaring Reduction Partnership.Much has been done already to reduce tailpipe emissions from vehicles and to phase-out the use of lead.Our Member Countries have been investing billions of US dollars in upgrading refineries to meet the most stringent product specifications.OPEC has recently joined the International Energy Agency’s Greenhouse Gas R&D Programme, whose purpose is to cover a wide range of technology options aimed at reducing such emissions.More importantly, one of the three worldwide Carbon Capture and Storage (CCS) demonstration projects is in an OPEC Member Country, Algeria. Other countries are exploring the possibility to widely use CO2 for enhanced oil recovery. However, we believe that, over and above our own efforts, industrialized countries should take the lead in the funding and execution of large CCS demonstration projects, under the accepted principle of ‘common but differentiated responsibilities’.Excellencies, ladies and gentlemen,Let me conclude by reminding you of OPEC’s most important role in sustainable development. This is to provide the fuel of choice, petroleum, to satisfy the world needs, in a reliable, secure, efficient and environmentally-sound manner. This, by itself, is already a great achievement — and it is repeated, without fail, every day.Thank you. " Today at the annual L.A. Auto Show, Governor Schwarzenegger highlighted the important role the newest alternate fuel and hybrid vehicles play in reducing greenhouse gas emissions in California and throughout the world. The Governor also highlighted the need for more fuel alternatives and greater fuel efficiency to help drive down high gasoline prices. “It is fantastic to see that the world’s automakers are developing the technology to help us meet our goals in California. These cars come in every size and shape and they prove that we can give consumers the choices they want and still protect the environment,” said Governor Schwarzenegger. “This is exactly the kind of innovation we need. Working together, we will ensure that California remains a leader in clean and alternative fuel vehicles and we will ensure a healthy and prosperous future for our nation. The L.A. Auto Show is an international auto show showcasing 1,000 of the newest vehicles from 47 of the world’s automobile manufacturers. The L.A. Auto Show has become the main stage for unveiling alternative fuel vehicles as manufacturers look to California, which drives the market for hybrids and other fuel efficient vehicles, to establish trends for environmentally-friendly cars and trucks. This is the second year in a row the Governor has appeared at the show to highlight such vehicles. Governor Schwarzenegger has made it a priority to put California at the forefront of the booming clean tech industry and to develop a robust infrastructure to support the wide use of clean energy and hydrogen power in California. In January, Governor Schwarzenegger announced the world’s first Low Carbon Fuel Standard (LCFS) for transportation fuels that requires fuel providers to reduce the carbon intensity of transportation fuels sold in California. This first-of-its kind standard firmly establishes sustainable demand for lower-carbon fuels but without favoring one fuel over another. The LCFS is projected to initially displace 20% of California's gasoline consumption by 2020 and increasingly more after that. It's also projected to fuel more than 7 million low carbon vehicles by 2020 in California alone - and millions more after that. It is harnessing market forces to jump-start California's and the world's transformation to a low-carbon economy. Allowing the market to do the work ensures the lowest cost and most consumer-friendly environment. Like AB 32, the LCFS will use market-based mechanisms that allow providers to choose how they reduce emissions while responding to consumer demand. For example, providers may purchase and blend more low-carbon ethanol into gasoline products, purchase credits from electric utilities supplying low-carbon electrons to electric passenger vehicles, diversify into low-carbon hydrogen and other to-be-developed strategies. This year, Governor Schwarzenegger launched the effort that led to California filing a lawsuit against the U.S. Environmental Protection Agency (EPA) for failing to act on California’s tailpipe emissions waiver request to regulate greenhouse gas emissions for cars and light trucks sold in the state. The Governor lobbied both President Bush and EPA Administrator Stephen Johnson to approve the request so that California can implement the nation’s cleanest standards for vehicle emissions. In April 2004, the Governor signed an executive order creating a public and private partnership to build the Hydrogen Highway in California by 2010. The Governor opened California’s first public hydrogen fueling station in October 2004, located at Los Angeles International Airport. Currently, there are twenty-five hydrogen-fueling stations in the state. Eventually, a network of hydrogen-fueling stations will be opened throughout California making hydrogen fuel accessible to the increased number of vehicles in California. Last year, the Governor signed the Global Warming Solutions Act of 2006, California’s landmark bill that established a first-in-the-world comprehensive program of regulatory and market mechanisms to achieve real, quantifiable, cost-effective reductions of greenhouse gases. The law will reduce carbon emissions to 1990 levels by the year 2020 and to 80 percent below 1990 levels by the year 2050. DUBAI, UNITED ARAB EMIRATES and SANTA ROSA, CA., Nov 12, 2007 - Al Yousuf Group and electric car pioneer ZAP (OTCBB: ZAAP) announced today that the Dubai-based manufacturing and distribution company has invested US$5 million ($5,000,000) in ZAP shares. The Al Yousuf Group, along with its subsidiary Al Yousuf Motors, is one of Dubai's leading distributors of automobiles, off-road vehicles and boats. Founded in 1952, Al Yousuf Group has 18 subsidiaries with branch offices in Abu Dhabi, Al Ain, Cairo, Fujairah, Jeddah, Ras Al Khaimah, Riyadh, and Sharjah, according to the Middle East information resource Zawya (http://zawya.com/cm/profile.cfm/cid489977/). ZAP has been a pioneer in electric transportation since 1994, delivering more than 100,000 electric cars, trucks, scooters, bicycles and other vehicles to consumers in 75 different countries. Over the past few years ZAP has accelerated its plans to market electric cars and trucks using the latest in advanced technologies. ZAP is manufacturing a full-line of electric vehicles and has plans to develop full-performance models using the latest advances in automotive technologies. "I really like ZAP's approach to the electric vehicle market," said Eqbal Al Yousuf, President of Al Yousuf Group. "I am impressed with the technology ZAP is developing -- like wheel motors -- as well as its management team and we look forward to building a broader business relationship with them." The Al Yousuf Group has developed partnerships with many of the world's renowned brand names in Asia, Europe and the USA. A number of these ventures have grown into long-term business relationships. Al Yousuf Motors' portfolio includes General Motors and Daihatsu vehicles, Daewoo buses, Suzuki motorcycles and outboard engines, Yamaha motorcycles, outboard and marine engines, water vehicles, generators, boats etc. "We believe there is a big demand for clean transportation in The Middle East and we see ZAP in a position to deliver on that demand," said Hossein Asrar Haghighi, Chief Finance Officer of Al Yousuf Group. "We are long-term investors in this endeavor and will focus our efforts with ZAP on this important work to contribute to a green community worldwide through different units of our Group." "Forming a relationship with Mr. Al Yousuf over the past several months has opened new horizons for ZAP and its business plans," said ZAP CEO Steve Schneider. "Al Yousuf has been one of Dubai's leading business innovators for more than half century. I believe this is the right relationship for ZAP to expand on its global marketing strategy." With more than 50 years in business, Al Yousuf Group has diversified into a multitude of industries under various subsidiaries, with dealings in Automotive, Information Technology and Telecommunications, Consumer Electronics, Boat Manufacturing, Air Conditioning, Imperbit Membrane manufacturing, Real Estate, Transportation and more. The Group has grown remarkably through a combination of aggressive marketing and the continuous addition of new agencies and businesses -- a mark of confidence that the community has in the future of Al Yousuf. It now has a network of subsidiaries and associate companies having staff strength close to 3,000. Al Yousuf is constantly seeking new opportunities to partner with regional and world brands that are themselves looking to expand to new markets. Increasingly, these companies are recognizing the advantages of partnering with Al Yousuf -- a global organisation that has strengthened immeasurably over the past half century. With its enviable record of strong continuous growth, the solid support of its business partners, dedicated and loyal workforce behind it, and the Royal Family's vision as its guide, Al Yousuf is well placed to realize its ambitions for the next centuries to come. ZAP has been a leader in advanced transportation technologies since 1994, delivering over 100,000 vehicles to consumers in more than 75 countries. At the forefront of fuel-efficient transportation with new technologies including energy efficient gas systems, hydrogen, electric, fuel cell, ethanol, hybrid and other innovative power systems, ZAP is developing a high-performance crossover SUV electric car concept called ZAP-X engineered by Lotus Engineering. ZAP is also developing a new generation of vehicles using advanced nanotech batteries with Advanced Battery Technologies. The Company recently launched a new portable energy technology that manages power for mobile electronics from cell phones to laptops. For product, dealer and investor information, visit http://www.zapworld.com.